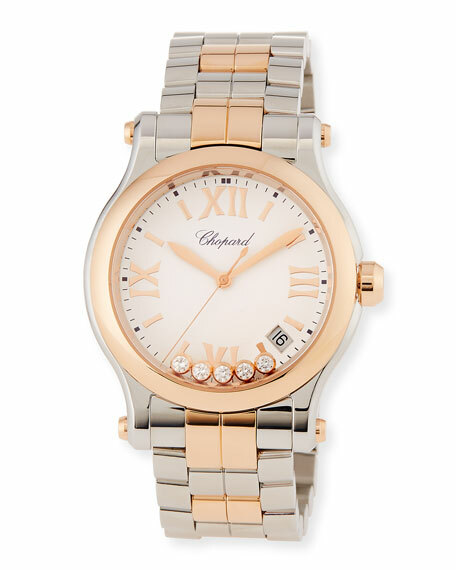 Chopard two-tone bracelet watch from the Happy Sport Collection. 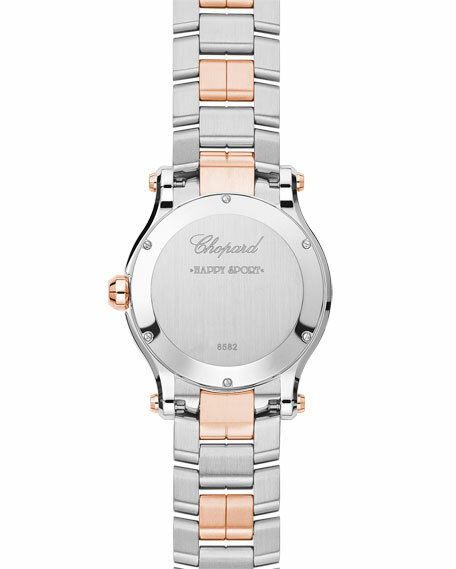 36mm 18-karat rose gold and stainless steel case and hardware. White dial with gold baton and Roman numeral time markers. Five moving round diamond bezels; 0.24 total carat weight. Square date window at 4:30 index; 12 o'clock logo text. Two-tone six-link bracelet strap with deployant clasp. For in-store inquiries, use sku #1828195.